Mark started in the insurance business as a Casualty Underwriter with Aetna in 1979 after graduating from Grove City College. He joined the agency in 1981 to work alongside his father, Tom Mustio. He has his CPCU, CIC, CLU and CSRM designations. He enjoys golf, tennis and politics and serves as a member of the Pennsylvania House of Representatives. Timothy Heim earned his Bachelors and Masters degrees at Slippery Rock University. After spending 8 Years as a Field Underwriter for Aetna Life and Casualty where he earned both an Accredited Advisor in Insurance (AAI) and a Chartered Property & Casualty Underwriter (CPCU) designation, Timothy was named Vice President at HHM Insurors in 1992. He then earned a Certified Insurance Counselor designation in 1996. Timothy has been an active member of Rotary for over 20 years, serving as President in 2009, and currently serves on several non-profit Boards of Directors in his community of Pine-Richland. Tim is married to his college sweetheart and is fortunate to have his two children working in the business with him. He loves skiing, golfing, tennis and exercise. Rick has been in the insurance business for 40 years. He started his own Agency with a partner in 1983. His partner and himself then merged with partners of HHM Insurors in 1997. Rick has served as President of the Insurance Club of Pittsburgh, Montour Heights Country Club, Amen Corner and Carnegie Chamber of Commerce. He currently holds a Certified Insurance Counselor professional designation. Rick resides in Moon Township and has four children and ten grandchildren. Mark is a managing partner at HHM Benefit Services, a registered health underwriter, professional academy healthcare management designated ACA healthcare law certification, and an active member of the national academy of health underwriters. Jason began his insurance career in January 2009. Jason became a partner of HHM Insurors July of 2016. Jason is currently working towards his Certified Insurance Counselor (CIC) designation and continues to further his knowledge and education. He has recently served on the board of Northern Allegheny Rotary Club and belongs to the Airport Area Chamber of Commerce. Jason is married to his wife Tiffany who is a teacher at Fox Chapel Area School District. He has two kids and enjoys playing golf and hockey. Brent began his insurance career in September of 2004. 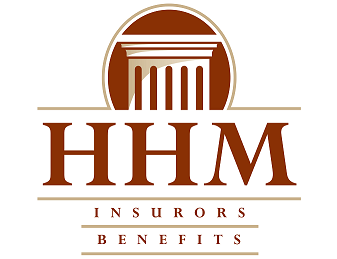 Brent became a partner of HHM Insurors July of 2016. Brent earned his Certified Insurance Counselor (CIC) designation in 2011 and continues to further his knowledge and education. Brent also holds a Bachelor of Science degree in Management Science Information Systems from the Smeal College of Business, University Park PA. Community Involvement has always been important to Brent and he continues to remain active. He is the past president of Parkway West Rotary Club and currently serves on the clubs Board of Directors. Brent was a past Pittsburgh 50 Finest nominee raising money for Cystic Fibrosis and also served a three year term Board of Directors term for the Insurance Club of Pittsburgh. Brent is life long resident of Moon Township where he grew up. He currently resides there with his wife and 3 children. Olivia graduated from the University of Delaware in 2014, where she was a member of the tennis team and majored in Business Management. She started working at the agency in 2015 to work alongside her father, and create a career in the insurance industry. She currently holds her property & casualty and life insurance licenses, with aspirations to obtain her Certified Insurance Counselor (CIC) over the course of the next few years. She was born in the Pittsburgh area and currently resides in Cleveland with her husband. Zachary began his career as an insurance consultant in January of 2016. Zack brings experience and knowledge of the environmental and home buildings industries, along with a drive for success, for he was a project manager for both NVR, Inc. and Entact Environmental LLC over the last 5 years before joining the HHM team. Zack looks to obtain his Certified Insurance Counselor (CIC) over the course of the next few years with aspirations to receive the Chartered Property & Casualty Underwriter (CPCU) as well, both highly respected designations in the insurance industry. He was born and raised in the Pittsburgh area and resides in the Connellsville area with his wife, Annie, and his son, Greyson. Mark has been with HHM Benefits for almost 13 years. He holds a Bachelor of Science in Business Administration from The University of Pittsburgh. He is a Certified Benefits Consultant (CBC) and a Professional Academy for Healthcare Management designation holder. He enjoys playing baseball, softball & hockey, being outdoors and walking his 2 dogs. Eric is a Penn State graduate and resides with his family in Moon Township. He has 35+ years of experience helping to place and manage business insurance programs and consulting on risk management issues with clients of all sizes, including for both domestic and foreign ownership and exposures. Eric’s areas of expertise include manufacturing, trucking, warehousing, food distribution, etc. for customers who appreciate a strong emphasis on personal service. He enjoys tennis, fishing, and keeping up with two daughters in college! Sue is a graduate of Robert Morris. She has worked in Employee Benefits for 20+ years and has been at HHM Benefits for over 10 years. Terri has been in the Commercial Insurance industry since 1995 and holds a Certified Insurance Service Representative (CISR) designation. She joined HHM Insurors in 2012, where she enjoys assisting clients with their insurance needs. In her free time, she enjoys spending time with her grandson, crocheting, cooking for a homeless shelter and volunteering with her church. Barb has been in the insurance industry since the age of 16. In high school, they offered a co op program which allowed her to get her elective credits by working. With the help of the co op Counselor, she found a part-time job at Liberty Mutual. Barb has been in the industry ever since and has worked in claims, loss prevention, and when she moved into business sales, she became a CSR. She currently holds her CISR Elite designation. She has been married 28 years and lives in Pittsburgh with her Husband, David. In her spare time, Barb loves gardening (flowers and vegetables), karate/self defense, and cookies. Donna started her insurance career with Aetna C&S in 1971. She worked in the accounting department for 4 years, before moving to personal lines. She then started at HRH in 1987; and HHM Insurors in 2013. Donna’s primary experience is in commercial lines, as well as operations at a local & regional level. Debbie has been in the insurance industry for over 20 years and has worked at HHM Insurors for almost 9 years. She currently holds her CISR designation and is currently the president of the Local Applied Users Group chapter. In her down time, she loves to travel but most of all spending time with her family. Janet has been in the insurance industry since 1975 and has been at HHM Insurors since 1999. She has held her CISR designation for over 10 years. Janet is a graduate of Robert Morris University and received a degree in business and marketing. Shane graduated from Duquesne University in 2017 with a degree in marketing. He began his insurance career right out of college to work alongside his father. He currently holds his insurance license in property & casualty, with aspirations to obtain his life insurance license. He was born and raised in Pittsburgh and loves everything about it. In his spare time, he enjoys fantasy football, snowboarding, and poker. Sandy has worked at HHM Insurors for 17 years. She is the personal lines processor and also does the billing for the commercial and personal lines departments. She enjoys doing crafts and spending time with her family. Brenda has worked for HHM Insurors for 12 years, and currently holds her CISR designation. Tammy started out in the insurance business in 1990. She is married, and currently lives in Franklin Park. She and her husband have two daughters and three grandchildren. Some of her favorite things to do are crafts, volunteering, and spending time with her family. She also loves comedy and would love to do standup one day. Kristen is currently licensed in property & casualty and also life insurance. She has been in the insurance business for three years, all at HHM Insurors. She is a graduate of Edinboro University of PA, with a BA in education. Kristen enjoys spending time with family and being involved with youth gymnastics. Katie has been in the insurance industry for 25+ years and at HHM Insurors for 17 years. In her off time she enjoys making jewelry and doing craft shows. Jessi has been in the insurance industry since 1990 when she started working for HHM Insurors. She holds the CISR designation. Her favorite pastime is working with dogs, especially her own. She volunteers with a local rescue group and loves spending time with her family and friends. Rosella began her insurance career in 1989. She has worked for a number of prominent agencies and has more than 25 years of personal insurance expertise. Rosella holds a property & casualty license along with a Certified Professional Insurance Agent (CPIA) designation. She currently resides in Carnegie and enjoys spending time with her two children and traveling. Brigitte graduated from Computer Tech, Pittsburgh in 1981. She has over 35 years in the insurance industry including group benefits. She is licensed with Life and Fixed Annuities, Accident and Health and Property and Casualty and Allied Lines. She is a resident of Beaver with her spouse and children and enjoys family time and gardening and riding her bike when the weather permits. Laura has 29 years experience in the insurance industry with over 20 years specializing in employee benefits. A licensed insurance agent since 1989 in Accident & Health, Life & Fixed Annuities as well as Property & Casualty within the Commonwealth of Pennsylvania. In addition to her insurance experience, Laura attended CCAC & RMU, obtained a degree in Accounting. She is a resident of Coraopolis for the last 25 years with her husband; they have 2 children, a son & a daughter.